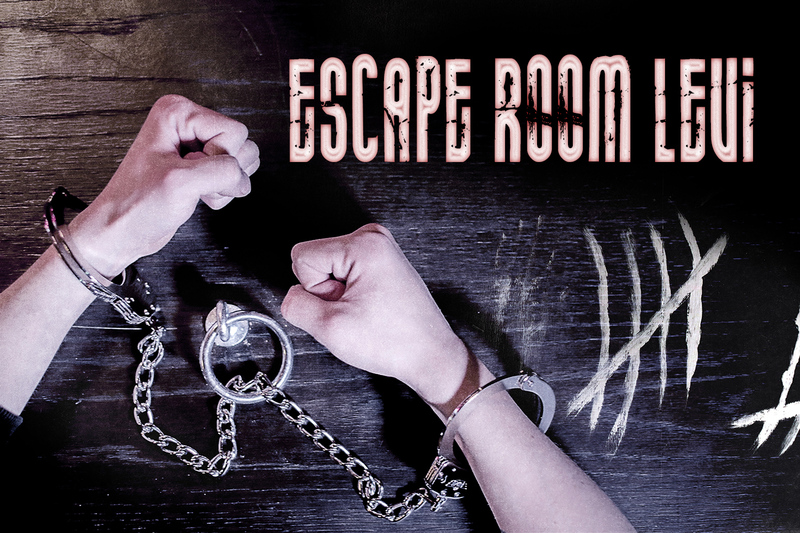 An escape room is a physical adventure game where the players attempt to get out of a locked room in a limited amount of time. To escape the players must work together to solve puzzles, find hidden clues and complete various tasks. Escaping requires no force, but logical reasoning, guile and creativity. The challenge is an intellectual one which makes playing especially enticing. The game can accomodate 2-6 players and lasts one hour. Hints and clues are provided by the game master when necessary. The rooms have been designed for players over the age of 14. In Alibi, the players have been locked up in a police interrogation room, accused of a series of brutal crimes at Levi. The players have one hour to clear their name and solve the puzzles to unmask the true killer. The game is suitable for beginners. In Puppet Master, the players are a police task force intending to enter a serial killer’s lair to apprehend the killer. It is not a simple mission, for the murderer’s hideout is littered with unexpected surprises. Not for the faint of heart! We do not recommend disabled people.